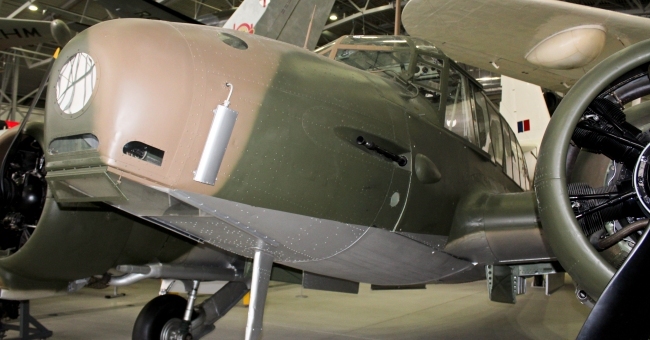 Nicknamed the 'Annie', Avro's twin-engined trainer would play a vital role in preparing the various aircrew needed to operate multi-engined aircraft. 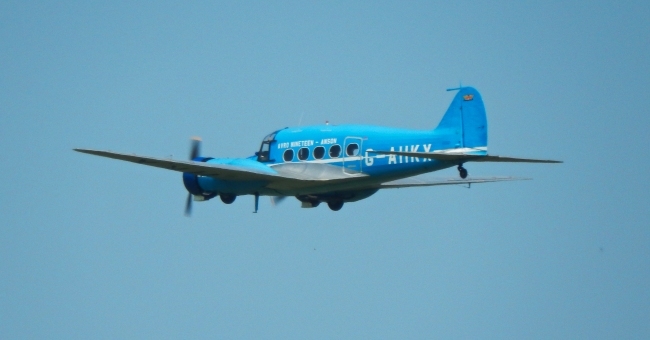 In service with the Royal Air Force for over 30 years it wouldn't be until 1968 that the Avro Anson was finally retired. The type was also used by civilian airlines as well. 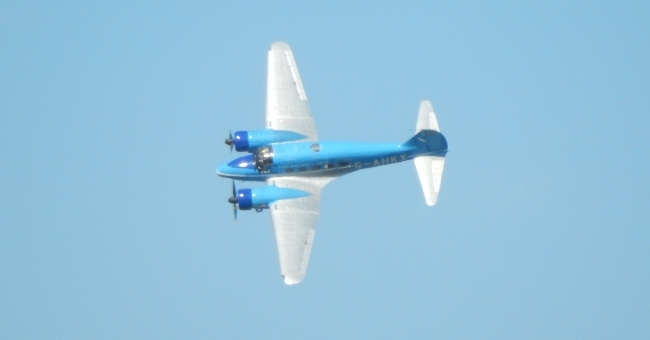 The roots of the Anson were originally in commercial aviation when during April 1933 Imperial Airways commissioned A.V. Roe to design a aircraft that had a range of over 420 miles, fly on one engine at 2,000 ft and carry four passengers. The design Roy Chadwick and his team came up with was the monoplane Type 652 which would be twin-engined with power supplied by the Armstrong Siddeley Cheetah V engine. After a couple of tweaks to the design Imperial Airways ordered a pair of this new aircraft during April 1934. Eight months later on the 7th January 1935 flying from Woodford the first Type 652 made its maiden flight with both aircraft being delivered on the 11th March to Imperial Airways at Croydon airport. 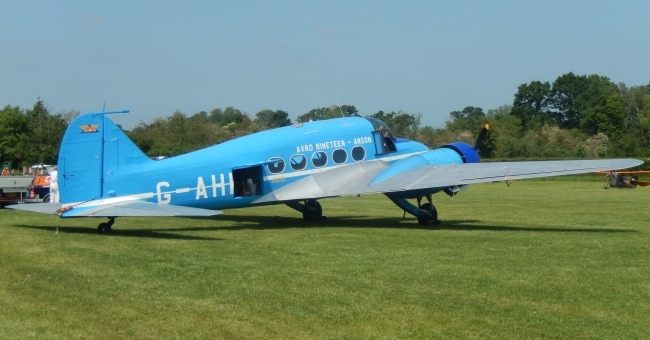 These two aircraft would be the only commercial aviation examples produced and both of these would be brought during 1938 for navigation training by Air Service Training Ltd. The Air Ministry were looking for a twin-engined civilian aircraft that could be converted for military use for coastal reconnaissance and on the 7th May 1934 Avro were asked if they had any designs suitable. Avro submitted their design to the Air Ministry based on the Type 652 which was known as the 652A, which featured a single Lewis gun fitted in a dorsal turret, alongside a military version of de Havilland's Rapide, known as the Dominie, a prototype was ordered. The prototype Type 652A made its maiden flight on the 24th March 1935 before undergoing trials with the Aeroplane and Armament Experimental Establishment at Martlesham Heath. The next phase for the aircraft was a competition against the Dominie at Gosport with the Coastal Defence Development Unit. It would come out on top due to its longer range. 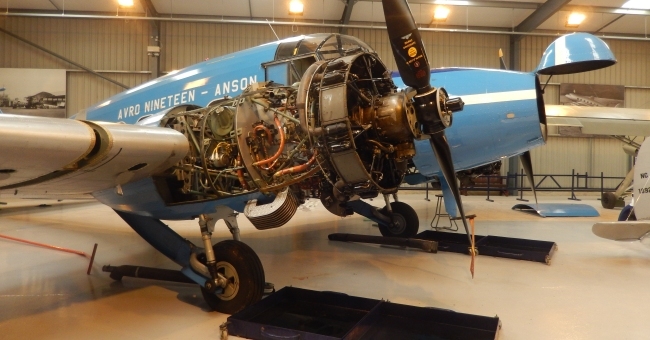 Ordered into production under Specification 18/34 and designated the Anson GR.Mk I the aircraft would be powered by a pair of 350-hp Armstrong Siddeley Cheetah IX engines giving a top speed of 188 mph and featured manual landing gear which required 144 turns of a crank handle to retract. Armament consisted of a pair of 0.303-in machine-guns. One forward firing on the port side and one in a dorsal turret, upto 360lb bombs could also be carried with its range being 790 miles. Original Ansons would have a crew of three made up of the pilot, navigator/bomb-aimer and radio operator/gunner, however a fourth crew member was added for maritime reconnaissance. It would be at the end of 1935 on the 31st December when the first example flew and it would be No. 48 Squadron based at RAF Manston who would receive the first Ansons on the 6th March 1936. 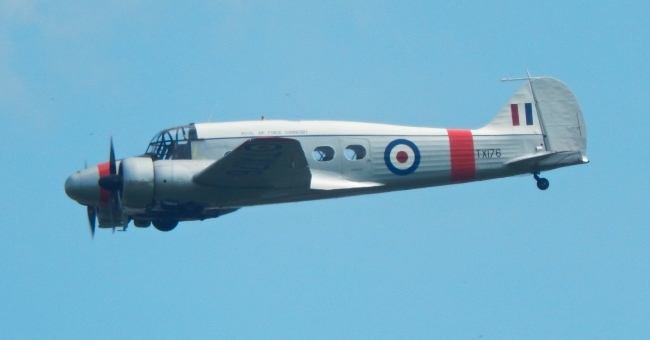 With the introduction of the British Commonwealth Air Training Plan on the 18th December 1939 the Anson would be used to train pilots, wireless operators, bomb-aimers and navigators and this would see airframes built in the UK then sent to Canada where upon delivery one of two engines would be installed. The 330-hp Jacobs L-6MB engined Ansons would be known as Mk IIIs whilst 420-hp Wright Whirlwind R-975-63 engined aircraft were Mk IVs. 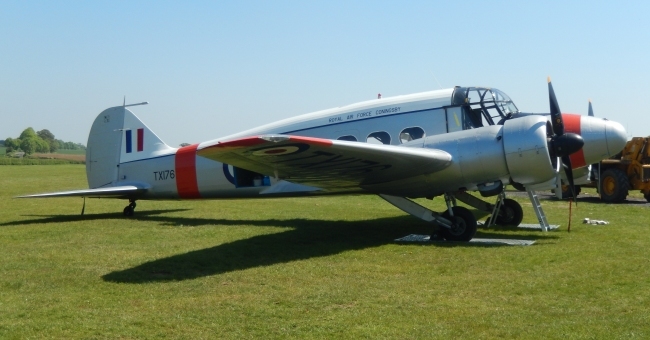 The next production version was the Anson Mk II which would be powered by the Jacobs L-6MB engine, as the Mk III, and introduced automatic landing gear and a plywood nose. The dorsal turret was also removed. The biggest change with the Mk II was that it was built in Canada under Federal Aircraft Ltd and the first Canadian built example flew on the 21st August 1941. Also built in Canada was the Mk V and this expanded on the plywood nose of the Mk II with the whole fuselage built using this material. Whilst inside it was essentially a Mk II. Other changes saw the aircraft able to accommodate two more trainees bringing the total crew to five, with new engines installed as well. These were a pair of 450-hp Pratt & Whitney B-985-AN-12B engines which gave a top speed of 190 mph. 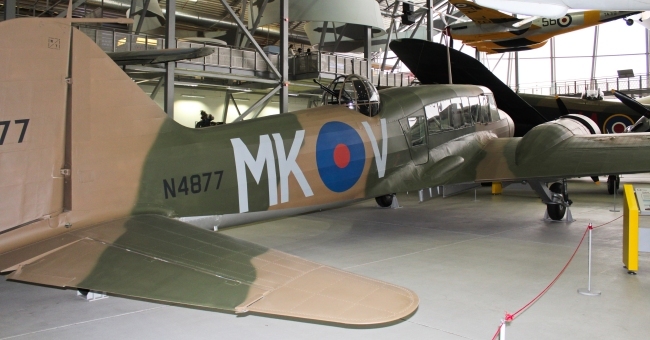 Production returned to the UK although only one new Anson Mk was built and this was the Mk XII appearing in two different versions. The first would be powered by the 420-hp Cheetah XV engine and this flew for the first time on the 30th July 1944. The second version had an all-metal wing as opposed to the wooden construction normally used and these were known as series 2 aircraft and this made its maiden flight three months later on the 27th October. A small number of Mk Is were also converted. 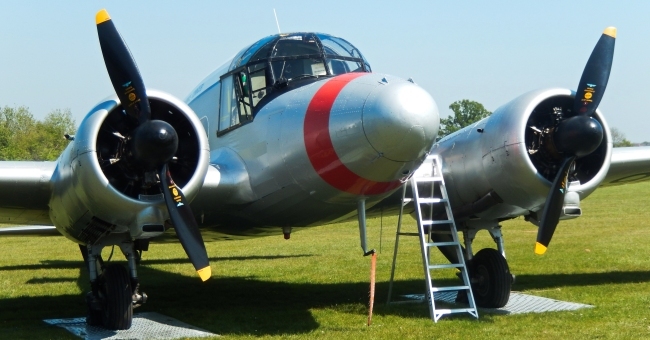 The other two Avro Ansons that appeared, the Mk X and Mk XI, were both converted Mk Is. The Mk X was used as a communications aircraft by the Air Transport Auxiliary (ATA) and these had the 350-hp Cheetah IX engine. The Mk IX had its roof raised and had the 395-hp Cheetah XIX engine installed. The types service with the Royal Air Force would see it serve with Coastal Command, Bomber Command and a number of different training units. Its time with Coastal Command saw the Anson perform patrols, attacking U-boats and E-boats and air/sea rescue. Its role in Bomber Command was to prepare crews for frontline service and when in training units it was used to get pilots accustomed to multi-engined aircraft and to train the aircrew needed for a bomber crew including the navigator and air gunner. 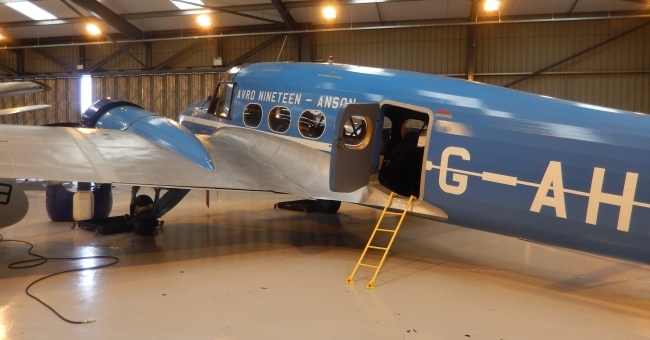 As the Second World War drew to a close the Anson would have a new lease of life as the Avro 19. 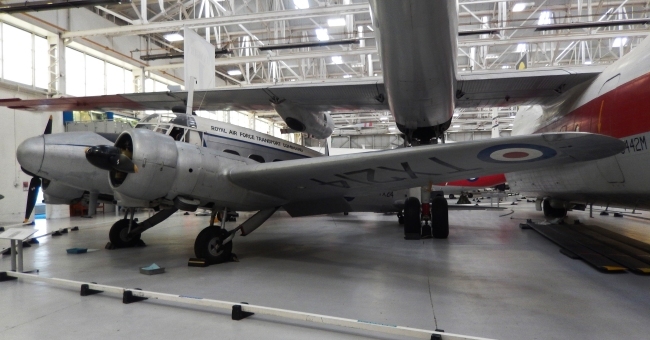 This aircraft was in response to Specification 19 issued by the Brabazon Committee, this was set up to assess post-war civil aviation needs. This saw a Mk XI fitted with seats and the other necessities needed for a civil airliner during the early months of 1945. These would serve with the RAF under the designation C.19 with a number of series 2 aircraft which had all metal wings & tailplanes. 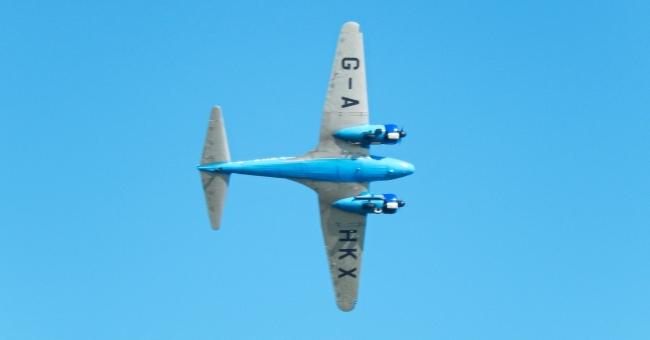 With the release of Specification T.24/46, which called for an aircraft to be used aboard as a trainer, the Anson T.20 appeared with a transparent nose and able to carry 16 practice bombs, and this bombing and navigation training variant prototype would make its maiden flight on the 5th August 1947. Followed 6 months later on the 6th February 1948 by the Avro T.21. This was solely a navigation trainer and would serve with Flying Training Command and the T.20's transparent nose and practice bombs were absent. This was designed in response to Specification T.25/46 which called for a home based navigation trainer. The issuing of Specification T.26/46 saw the last Anson variant produced, the radio trainer T.22 and on the 21st June 1948 the maiden flight of the prototype took place. The types 32 year career with the Royal Air Force came to an end on the 28th June 1968 after the last of 11,020 built retired from service. As well as serving with the RAF a number of other countries brought the aircraft including Australia, Finland and Greece. 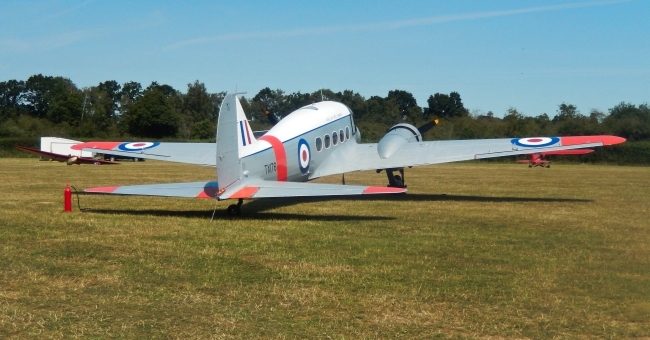 Anson Mk III Training aircraft. Anson Mk IV Training aircraft. Anson Mk V Training aircraft. 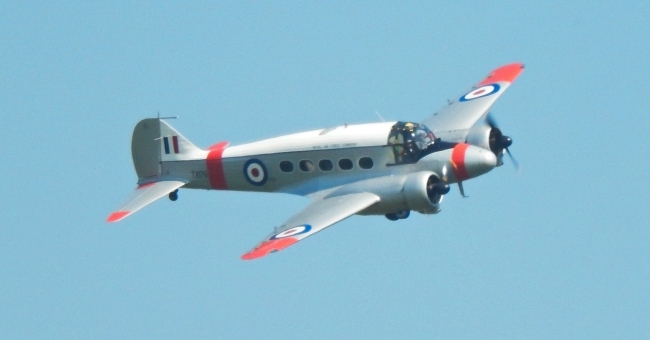 Anson Mk VI One example built in Canada. Anson Mk X Converted Mk I.
Anson Mk XI Converted Mk I.
Anson C.19 Civilian version used by the Royal Air Force. 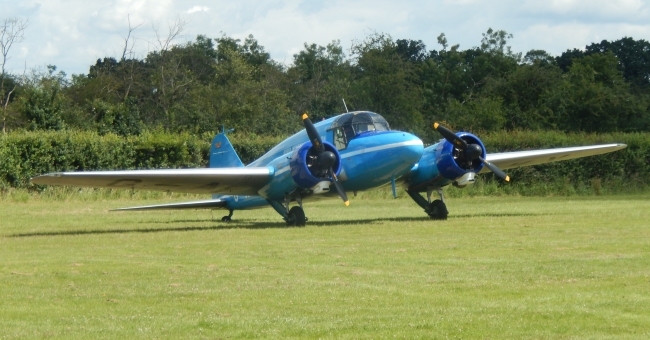 Anson T.20 Training aircraft used aboard. 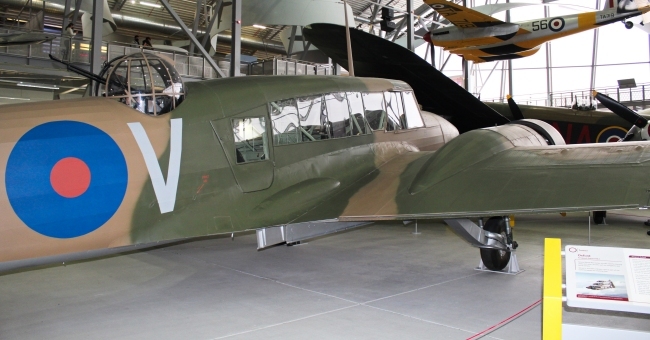 AT-20 Anson Mk II built in Canada but used by the United States Army Air Force.